Do you have difficulty chewing or have feelings of self-consciousness about your appearance? Are you missing some or all of your teeth? If so, dental implants may be the ideal solution for you. With dental implants, you can have a full, permanent set of teeth that look and function as though they are your own natural teeth. Implants can give you back a full set of strong, healthy teeth and make you feel good about smiling again. Dental implants offer our patients a stable, aesthetically pleasing way to replace for a missing tooth, restoring the ability to eat most foods and to smile with confidence. Implants don’t affect surrounding teeth like traditional bridges do, and unlike removable dentures, there is never a risk of implants slipping out of place. Once treatment is complete, dental implants remain a durable part of your smile. They also stop the deterioration of bone that occurs where a tooth is missing and help to preserve the bone mass around the implant site. 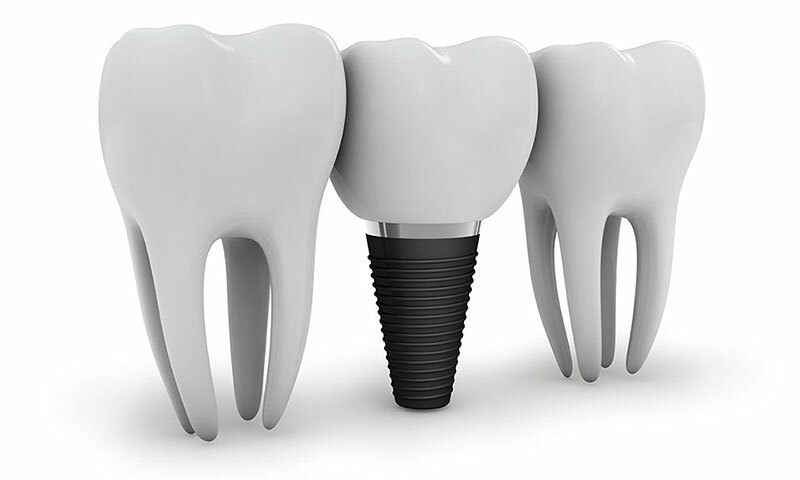 An implant is a man-made material that takes the place of the roots of the teeth on which a crown (single tooth), bridge (multiple connected teeth), or denture is secured. Divided into two basic groups, implants can either be inserted into the bone or placed on top of the bone. The type of implant selected is based on the amount of bone available. Anyone, at any age, is able to be fitted for implants as long as their health allows. Since having an implant involves a surgery, a thorough examination has to be performed to determine if one is able to have an implant restoration. How long can an implant last? Dental implants can last a lifetime with proper professional maintenance and conscientious home care. Does insurance cover cosmetic and/or implant procedures? As always, it depends on your insurance plan, which is a contract between your employer and the insurance company. Fortunately, our office coordinator is an expert at working with insurance claims, and submits insurance forms after each appointment to maximize your allowable benefits. Composite restorations are fillings that are tooth-colored. These types of fillings allow dentists to cut the tooth preparation conservatively preserving healthy tooth structures. Because they are bonded to the tooth enamel and dentin, composite restorations are very strong. Composite restorations are primarily a resin which has been filled with inorganic materials. This compound makes a composite filling more resistant to wear, color adjustable, and easier to polish. 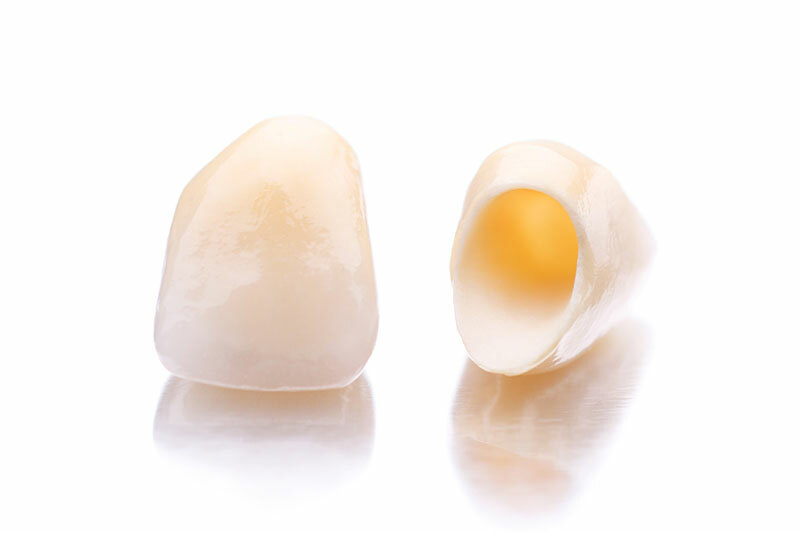 The advantage of choosing a composite filling includes a more natural appearance. Porcelain crowns can be used to restore broken teeth. When a tooth is fractured, has a large, old filling, or is severely damaged by decay, we may recommend the placement of a crown or cap. Crowns strengthen and protect the remaining tooth structure and can improve the appearance of your smile. Types of crown include the full porcelain crown, the porcelain-fused –to-metal crown, and the all metal crowns. Fitting a crown requires at least two visits. Initially, the dentist removes decay and shapes the tooth, and makes an impression of the prepared tooth. At the end of that appointment, the patient is sent home with a temporary crown or a transitional crown of plastic or metal. In the subsequent visit, the dentist removes the temporary crown, adjusts the final crown, and cements the crown into place. When one or more teeth are missing, the remaining teeth can drift out of position, which can lead to a change in the bite, the loss of additional teeth, decay, and gum disease. When tooth loss occurs, we may recommend the placement of a bridge. 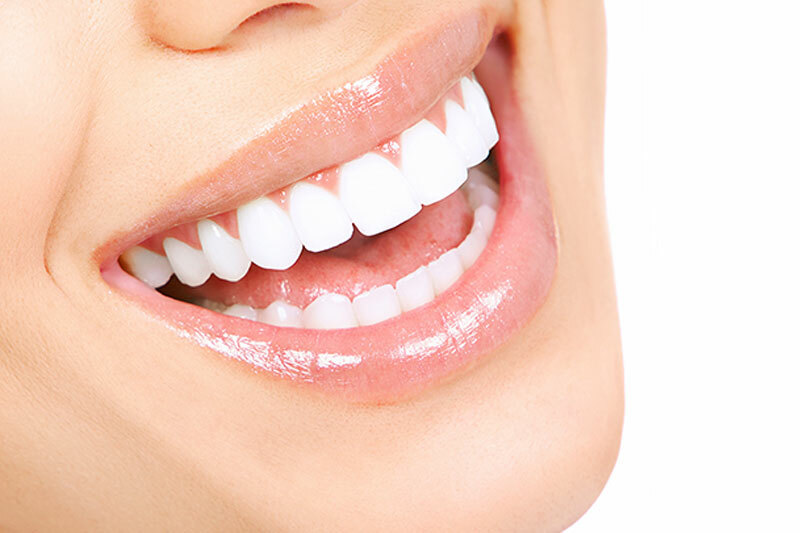 A bridge is one or more replacement teeth anchored by one or more crowns on each side. Fixed bridge treatment requires two visits. Initially, teeth on each side of the space are prepared to receive crowns and an impression of the prepared teeth is made. The patient then leaves the office wearing a plastic temporary bridge. 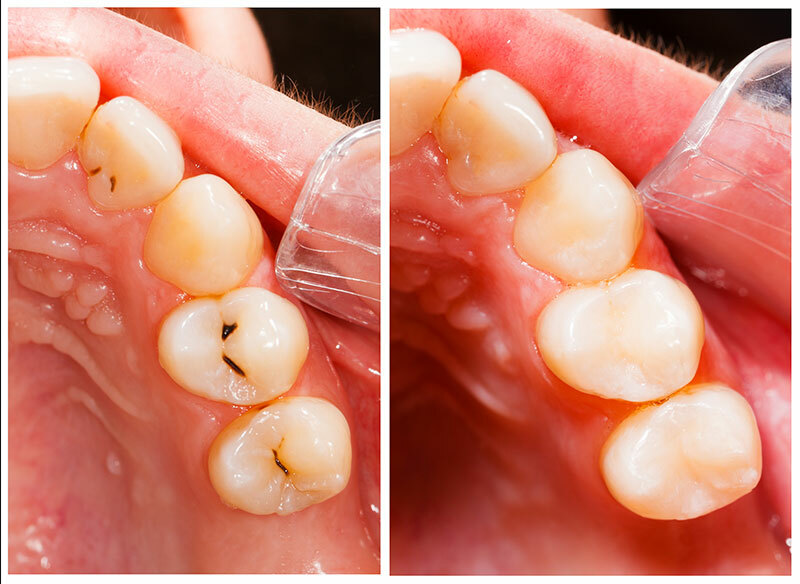 In a subsequent visit, the temporary crown is removed and the fixed bridge is adjusted and cemented in place. Little preparation is needed for dental bonding. Anesthesia is often not required unless the bonding is being used to fill a decayed tooth. The surface of the tooth will be roughened and a conditioning liquid is applied. 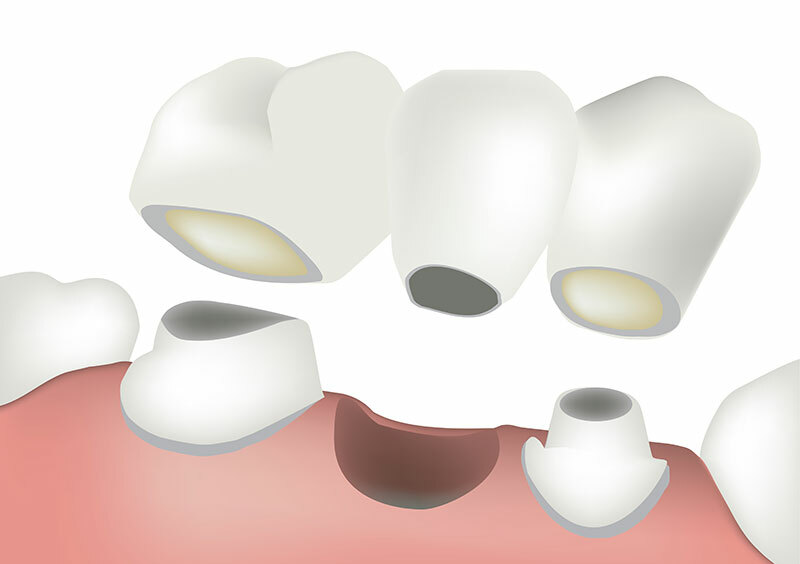 These procedures help the bonding material adhere to the tooth. The tooth-colored, putty-like resin is then applied, molded and smoothed to the desired shape. An ultraviolet light is used to harden the material. After the material is hardened, it is further trimmed, shaped, and polished to match the rest of the tooth surface. The dental bonding procedure takes approximately 30 to 60 minutes per tooth to complete. If you live in the Fremont or the Union City area and are interested in dental implants, contact our office to schedule a consultation appointment.